Posted on Tuesday, December 23rd, 2014 at 6:53 pm. All is calm, all is bright, and Christmas Eve is here tonight. If you are online and reading this, why not wish your fellow blogger familiar faces and some new ones a happy holiday in the blog hop? 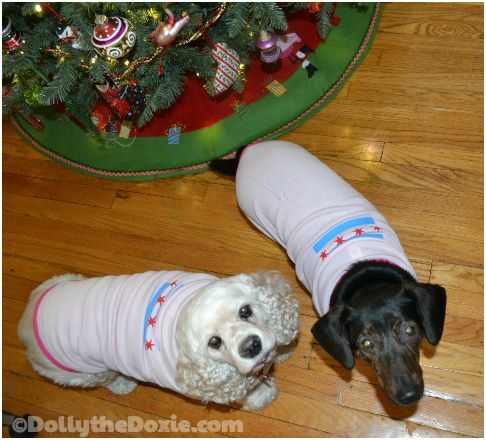 In the above photo, check out Sandra Townsend’s cutie pies, ready for Santa. This is one of the entries in the BlogPaws “Giving Month” Photo Contest. Three winners will be selected from all entrants and awarded a prize valued at $25 from our friends at Pet360. Here’s the photo contest link to enter.